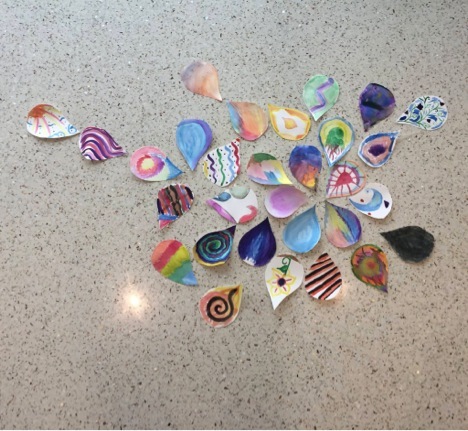 Figure 1: Mandala created by students during a recent class session. Abstract: Integrating contemplative methods into discussions of sustainability can create a sense of hope and agency in our students. In this case study, I present four tools that I use in my upper-level undergraduate/graduate seminar to engage students more deeply in reflection on topics in environmental ethics. Students initially arrive in my classes either depressed over the state of the environment or overly optimistic that capitalism will fix all environmental woes. It quickly becomes obvious that neither attitude is helpful and I work to ground them in the realities we face as we manage, regulate, and interact with the natural world. I also admit, right at the start, that hope for the future of the natural world is not easy to cultivate or maintain. Yet, I have been frustrated by the lack of time within the semester to delve deeper. There is always too much course material to cover, too many questions to answer, too many readings to assign, and too many ways to approach a particular issue. I have sometimes felt obligated to “deliver” neatly packaged lectures in my introductory classes or to facilitate wide-ranging, eye-opening discussions in my seminars. At the same time, I have observed an increasing loss of agency in my students. The problems are too big, the political situation is too polarized, and the science is too uncertain to move forward. And I consider that loss of agency a failure on my part as their teacher. How to get students to re-embrace the value of a liberal arts education, to be less concerned about career paths and more excited to explore opportunities and ideas, is a hot topic in higher education circles (Humphreys & Kelly, 2014, Bruni, 2015). Educators in many disciplines are looking to contemplative methods as a way to reconnect students to the learning process (e.g., Palmer & Zajonc, 2010, Barbezat & Bush, 2014). Organizations like the Contemplative Mind and Society (http://www.contemplativemind.org) host workshops and webinars for faculty interested in integrating these methods. In the past two years, I have turned to contemplative methods to re-energize my classroom, especially in smaller seminars. These methods create the space for honest reflection, sharing of beliefs and concerns, and understanding that hope is an important tool for us all to steward as we address environmental issues. I use them myself to more clearly engage in teaching, whether it be through cultivating deep listening skills (Utell, 2015) or mindfully responding to student’s work (Palmer & Zajonc, 2010). I view my own evolving contemplative practice as a tool for enhancing my mindfulness, as well as that of my students. Here, I will describe a series of four methods I use in my Environmental Ethics course, a blended seminar of undergraduate and graduate students, where we view conservation issues through an ethical lens. Meditation: Given that we are often rushing to get to class in time, worrying along the way about various things, I think it’s crucial to create an opportunity to fully arrive in class. I make a commitment to invite my students to sit in silence for a few minutes at the beginning of each class session as a way to “settle” into the space and set aside their distractions, if only for an hour. With some raised eyebrows from our business office, I purchased a set of locally made meditation cushions and drag them down the hall to my classroom each day. As we begin, I offer a very brief settling in and then we sit in silence for 3-7 minutes, depending, honestly, on my own need to sit and get my thoughts organized. This semester, a student offered to lead a loving-kindness meditation that he learned through a Duke Athletics-sponsored program on leadership. I may offer some optional breathing exercises, always with the caveat that no one is required to participate in “meditation” but that we should all try to enjoy the moments of silence in whatever way feels most appropriate. Interestingly, when I break the silence each day, a couple of things consistently happen. First, the room feels focused, ready, and alert, even at 8:45am! Second, students mostly do not move from their cushions on the floor for the rest of the class period. There’s something about sprawling out on the floor that lends itself to more authentic discussions, I have found. Students often do not pull out their laptops and phones, they look more interested in what their peers have to say, and I sense that most feel generally more inclined to contribute to the discussion. It is as if we transform our boring classroom into our living room, where ideas are more freely shared. This kind of environment makes it easier to talk about despair, to uncover what frightens us about the state of the natural world and those who occupy it. But it also lends itself to engaging more deeply in other methods that can generate hope. Reflective Journaling: Journaling is a practice that generates insights, makes connections, and illuminates solutions (Hubbs & Brand, 2010). In a class setting, I use journaling to give students a chance to catch up. How often do we arrive having read the assigned articles and chapters but not really having had a chance to react to them? How often does a conversation end before you are able to contribute your true perspective on the topic? Journaling allows us to collect our thoughts and can lead to richer discussion. Typically, I ask students to write, not type, journal entries in response to a specific prompt in class. Sometimes, this happens at the beginning or end but more often I use this activity in the middle, when energy is flagging or someone is dominating the discussion or I can tell they haven’t done the assigned reading. In environmental ethics, we often work through difficult material– animal rights, the value of wilderness, and the injustice of climate change – with visceral reactions and it’s easy to get depressed about it all and want to turn away. However, journaling makes these issues personal, while giving students a chance to at least glimpse why the academic science and arguments are relevant to these issues. This attitude, that creating art has nothing to do with the course material, is one that many of our colleagues may share. I have found, though, that most students are positively gleeful about the chance to paint, draw, and get messy in class. It breaks the routine of discussion and encourages them to have side conversations while creating something tangible (http://www.contemplativemind.org/practices/tree/contemplativeart). For me, using 10-15 minutes of class period to ground an hour-long debate on the complexity of the ethics of assisted migration, for example, is not only justified, but should be encouraged. Early in the semester, I have students make a list of all the components of a particular ecosystem. Using watercolor pencils, they consider the plants, animals, physical structure, and dynamic processes of that ecosystem. After several minutes, I bring out the watercolor brushes and paints. We dip our brushes into water and wipe away the words, creating a multi-colored swirl on our papers. While we do this part of the activity, we consider the interactions within ecosystems that a list really doesn’t get at. We consider how much we’ve learned about how ecosystems function but also how much more there is to learn about protecting and restoring them. We learn to see them as a “whole” not just an accumulation of parts. And then we can step back and see all of our work, the differences in color and pattern, and can better acknowledge the diversity that we want to steward. Students also design an end-of-semester project that often includes an art component. One year, they initiated a “treevival”, building a huge “tree” out of a cedar tree trunk and old hangers, where the campus community was invited to hang their pledge of moral commitment to protecting the environment (Vidra 2012). Another semester, they asked their friends on campus to draw their hopes for the environment in an age of climate change: what gives them hope that the environment will sustain them and future generations? Students consistently choose to use art as a way to facilitate conversations with their peers and community, which is a lesson for us all. Poetry: At the beginning of the semester, I will often bring in a poem to share at the close of class. I strive for work that inspires hope because, often, at the end of a difficult discussion, we could all use a bit of hope to get on with our days (“Wild Geese” by Mary Oliver is a particular favorite of mine). However, I also do not want to sustain an “everything will be OK” ethic in my students. Instead, I want to give them something, some little kernel of a question, that they may return to throughout the day and beyond. Poetry is a way of easing back into our lives outside the classroom, while acknowledging that the classwork extends into those lives as well (Felstiner, 2010). After a few weeks, I invite students to bring in poems to share. Not every student does this but many do, often bringing stories of a personal connection to the poem or poet. Slowly, we begin building a selection of poems that are relevant to the course in various ways. Students have commented that this is the first time they’ve used poetry at Duke, that they appreciate the chance to read a poem aloud to their friends. My ethics course is a “writing-intensive” course and, while I have not yet required my students to write their own poetry for a grade, I use a poetic exercise to invite them to examine their own written work more closely. We spend about 10 minutes choosing a set of words (10-20) from a draft of an essay that are working with. I then give them another 10 minutes to arrange these words into a poem, although I don’t give them any other constraints as to structure. We read each other our “found poems” as a way of dissolving our grasp on the essay, of finding other meaning in our writing, and of re-engaging with the revision process. The point is not to teach students to write poetry but to remind them that their writing has meaning, beyond the initial arrangement of words, sentences, and paragraphs. Cultivating community, contemplating hope: I am in the process of redesigning all of my courses, both undergraduate and graduate, face-to-face and online, to include a wide range of contemplative practices (see Tree of Contemplative Practice at http://www.contemplativemind.org/practices/tree). I have learned that the most important outcome of these practices is to cultivate a sense of community in the classroom. Once the students feel connected to each other, they can more fully be present for the class and, perhaps, contemplate what it means to be hopeful (Barbezat & Bush, 2014). While there are ways to evaluate the effectiveness of these methods (see Sable, 2014), I have not yet formally measured their impact on my students. My course evaluations provide anecdotal evidence that the “contemplative learning practices were fun, new and effective” and “meditative aspects were awesome”. Just last week, a student approached me to ask about my course after seeing a Duke Snapchat video of my students engaged in contemplative work. In the sustainability classroom, where students are just beginning to peek around the edges of their own politics and experience, we are called to create an invitation to join the conversation. We don’t want to leave our students wallowing in despair, but we also want them to deeply desire to protect our natural world through innovative solutions (Macy & Johnstone, 2010, Christie, 2013). Time together in a classroom environment gives us the increasingly rare opportunity to unplug from our devices and to plug in to the course material in mindful, deliberate ways. While I don’t have much formal training in any of these methods, I come to them as a learner and beginning practitioner, and I am honest with my students about my own work in this area. Quickly, I have found that contemplative methods are one way we can generate hope and agency in our students, and re-invigorate our role as educators. I was introduced to the idea of integrating contemplative methods into my teaching through an Association for the Contemplative Mind in Higher Education-sponsored workshop at the Lama Foundation in August 2013. I would like to thank the leaders of that workshop, especially Paul Wapner, and the other participants for creating the space to learn and practice these methods in the context of my work. Barbezat, D.P. & Bush, M. (2014). Contemplative Practices in Higher Education. San Francisco, CA: Jossey-Bass. Christie, D.E. (2013). The Blue Sapphire of the Mind: Notes for a contemplative ecology. New York, NY: Oxford University Press. Felstiner, J. (2010. Can Poetry Save the Earth? A field guide to nature poems. New Haven, CT: Yale University Press. Hubbs, D. & Brand, C.F. (2010). Learning from the Inside Out: A method for analyzing reflective journals in the classroom. Journal of Experiential Education 33(1): 56-71. Humphreys, D. & Kelly, P. (2014). How Liberal Arts and Sciences Majors Fare in Employment: Setting the record straight. Washington, DC: Association of American Colleges and Universities. Macy, J. & C. Johnstone. (2012). Active Hope: How to face the mess we’re in without going crazy. Novato, CA: New World Library. Palmer, P.J. & Zajonc, A. (2010). The Heart of Higher Education: A call to renewal. San Francisco, CA: Jossey-Bass. Vidra, R. (2012). Treevival: Exploring commitment and creating a sense of community within the classroom. Duke Environment. Fall 2012: 18-19.